In order to facilitate the spreading of His light, Allah the Eternal Being, created those whose mission it is to preach about the instability of this world. They become instrumental in introducing the Lord Creator to mankind, and they teach how to establish a relationship with Him. One of such blessed souls was the Sufi mystic Huzoor Qalandar Baba Auliya (RA). Huzoor Qalandar Baba Auliya was born in 1898 in the town of Khorja, which is in the Uttar Pardesh province of India. Muhammad Azeem was the name given to him by his parents. He had a taste for poetry and wrote using the pen name of Burkhiya. His family lineage goes back to Hazrat Imam Hassan Askari. Huzoor Qalandar Baba Auliya gained his primary education from the local school of the town. He went to high school in Buland Shehr. After completing his high school education he went to Aligarh Muslim University in Aligarh. Allah the Almighty makes proper arrangements for the training of the selected. Huzoor Qalandar Baba Auliya was no exception. During his stay in Aligarh an inclination towards spirituality developed in him. He started spending alot of his time at the shrine of the Sufi Maulana Kabli. He used to go there early in the morning and would come back late in the evening. After this, Huzoor Qalandar Baba Auliya spent nine years receiving spiritual training from his maternal grandfather Baba Tajuddin Nagpuri, who was a great saint and often referred to as a teacher of teachers After the partition of the subcontinent he moved to Karachi. He chose journalism as a career and was appointed the sub-editor of the Daily Urdu Dawn newspaper. In 1956 when Qutab-e-Arshad Hazrat Abu’al Faiz Qalandar Ali Suharwardi visited Karachi, Qalandar Baba Auliya requested him to accept him as one of his disciples. Hazrat Abu’al Faiz Qalandar Ali Suharwardi completed the course of teachings of Qutab-e-Arshad in three weeks and declared him as his Khalifa (delegate). Further spiritual education was imparted to Huzoor Qalandar Baba Auliya by the holy soul of the blessed Shaikh Najamuddin Kubra (D: 1189CE). This enabled him to rise to the point where he received the highest form of Divine Knowledge (Ilm-e-Ludduni) directly from the Holy Prophet. He was accorded the opportunity of appearing before the Lord Creator, Allah the Almighty Himself, Who then taught him knowledge of His mysteries and secrets. 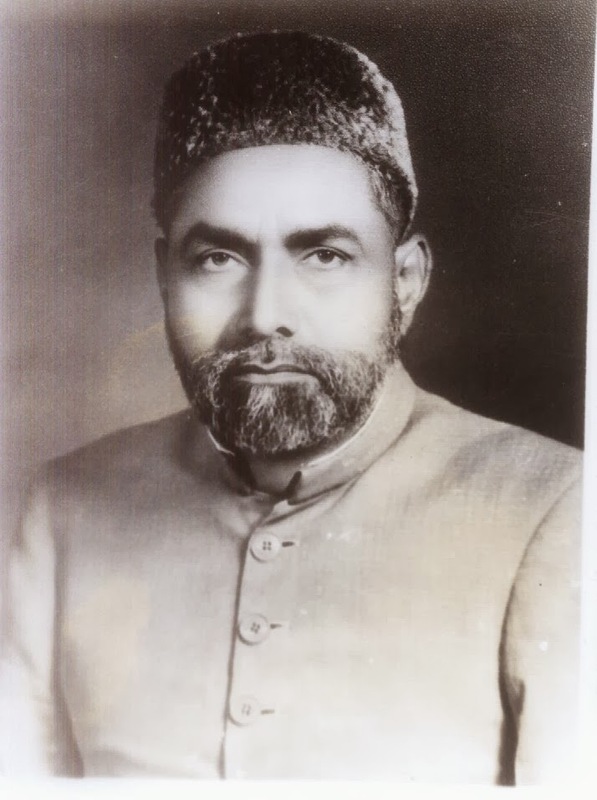 Huzoor Qalandar Baba Auliya passed away on 27 January 1979 in Karachi. He left behind a widow, two sons and two daughters. His shrine is in Shadman Town in Karachi. Every year on the 27th of January the Urs of Huzoor Qalandar Baba Auliya is celebrated in Karachi and is attended by thousands of people from all over the country and abroad. Rubaiyat-e-Qalandar Baba Auliya – a valued collection of enlightening mystic verses. Loh-o-Qalam – (The Pen and the Scripturum) – a treasure of divine knowledge of mysteries and secrets. Tazkira-e-Tajuddin Baba – an authentic work of metaphysical sciences and scientific interpretations of divine and wondrous work performed by spiritual people. Additionally, Huzoor Qalandar Baba Auliya left countless maps and diagrams of the visible and invisible realms. He also started the publication of the monthly magazine called Roohani Digest. The essence of the teachings of Huzoor Qalandar Baba Auliya is that man has not been created solely to pursue a livelihood and to eat and clothe himself. The first and foremost purpose of his creation is that he should recognise his Own Self and have an intimate relationship with his Creator.